Although American actor and singer Steve Lawrence (b. Brooklyn, NY, 8 July 1935) has had signal success as a recording artist and Broadway performer, his career, spanning over half a century, has been most intimately connected with the medium of television. He is well-known equally as a solo artist and as a member of the singing duo, “Steve and Eydie,” with his wife Eydie Gormé. Lawrence was born Sidney Liebowitz in the Brownsville section of Brooklyn; his father was a cantor and a house painter. As a child he sang prominently in the synagogue, but when his voice broke he took up the piano and the saxophone, composing and arranging. While at Thomas Jefferson High School he went back to singing, taking lessons and haunting the music publishing companies in Manhattan. Soon he was hired to sing on demonstration recordings. With an eye to auditioning for Arthur Godfrey’s Talent Scouts in 1951, he adopted the name of Steve Lawrence, after the first names of two of his nephews. He auditioned, won the show’s first prize, and was promptly signed, in April 1952 at age sixteen, with King Records in a contract to record eight singles over the next two years. His first full album, under the title of Steve Lawrence, came out in June of 1953. While Steve Allen’s late-night television talk show, Tonight!, was still a local program, Lawrence was hired as a regular entertainer, and when soon thereafter the show went national, Steve Lawrence went along with it. Another regular singer on Tonight! was Eydie Gormé, a few years older than he, and they found each other compatible musically as well as personally; they became a duo and got married in Las Vegas in December 1957. Steve then signed with Coral Records, a division of Decca – he found it necessary to change record companies frequently in his career, since his contracts had to accommodate their projects as a duo as well as his own as a soloist. By 1956 Steve Lawrence had three LP albums to his name, but so far had not made a deep impression on the singles charts; his cover version of Harry Belafonte’s “The Banana Boat Song,” however, gave him a big boost in popularity. He began to appear on other television programs, and in 1958 Steve and Eydie were the hosts, under the banner of “Steve Allen Presents,” of the summer replacement show for Tonight! on NBC. Then Steve got drafted. From 1958 to 1960 he served in the Army as official vocal soloist with the US Army Band and Orchestra, at the same time managing to fulfill his obligations under his recording contract. Upon his discharge he returned to show business with renewed force, touring the nightclub circuit all across the country with Eydie, and releasing their first album as a duo, We Got Us. The title track to this album won the 1960 Grammy Award for Best Performance by a Vocal Group. Only a year later Lawrence would earn another Grammy nomination, this time as a soloist, for his LP, Portrait of My Love. The title single was his fourth Top Ten hit. In 1962 the duo signed with Columbia Records (Steve’s fifth label affiliation in ten years), launching what was to be Steve Lawrence’s most successful period. “Go Away Little Girl” shot to the top of the singles charts and went gold; “Don’t Be Afraid Little Darlin’,” “I Want to Stay Here,” “Footsteps,” “Party Doll,” and several others would follow. But February 1964 brought the British Invasion, Beatles hysteria, and a new direction for Lawrence. 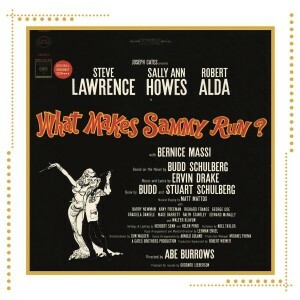 He was already in rehearsal for a Broadway musical, What Makes Sammy Run?, starring as movie mogul Sammy Glick. The show ran for 540 performances and Lawrence won the Drama Critics Circle Award as well as a Tony Award® nomination for Best Actor. When the show closed in June 1965, he was ready, typically, with his next project: The Steve Lawrence Show, his own television variety series on CBS. That aired for only a short four months. Another Broadway venture, for Lawrence and Gormé together, was Golden Rainbow in 1968, which had only modest success; it ran for 385 performances. Steve and Eydie continued to record with Columbia, then with RCA Victor, then with MGM, but by the 1970s their sales and popularity in the recording field were decidedly on the wane. Their viability on television and on the nightclub stage, however, never diminished. At Thanksgiving in 1975 they presented their tribute to George Gershwin, Our Love Is Here To Stay, and in 1978 they won multiple Emmy Awards for Steve and Eydie Celebrate Irving Berlin. Nor has Steve Lawrence ever been idle as an actor. He has appeared in guest roles on television since the 1950s, in The Danny Kaye Show, The Carol Burnett Show, The Julie Andrews Hour, Night Gallery, Police Story, Murder, She Wrote, Gilmore Girls, and CSI, and hosted, with Don Rickles, the 1984 series Foul-Ups, Bleeps & Blunders. In 1980 he portrayed blackmailed manager Maury Sline in the hit film The Blues Brothers with John Belushi and Dan Aykroyd, and in 1984 he appeared in the Steve Martin movie, The Lonely Guy. Steve Lawrence and Frank Sinatra were good friends: Steve and Eydie opened for Sinatra on his Diamond Jubilee Tour (celebrating his 75th birthday) in 1990–1991. Upon his retirement, Sinatra gave Lawrence his book of arrangements, which Steve used to record Steve Lawrence Sings Sinatra: A Musical Tribute to the Man and His Music (2003). 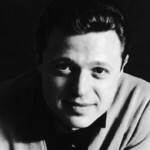 The producer of the album was Steve and Eydie’s son, David Nessim Lawrence, who also wrote the music for High School Musical. Steve and Eydie had a younger son, Michael, who died suddenly in 1986, at age 23, of an undiagnosed heart condition.